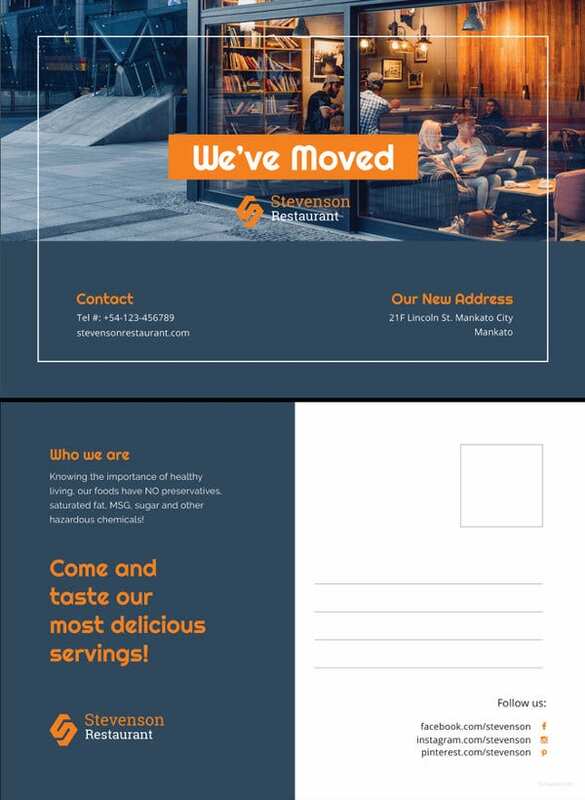 Post cards are used for a variety of purposes – it is a common site now a day to find post card leaflet kind of papers along with newspapers containing promotional offers and information on various products and services. 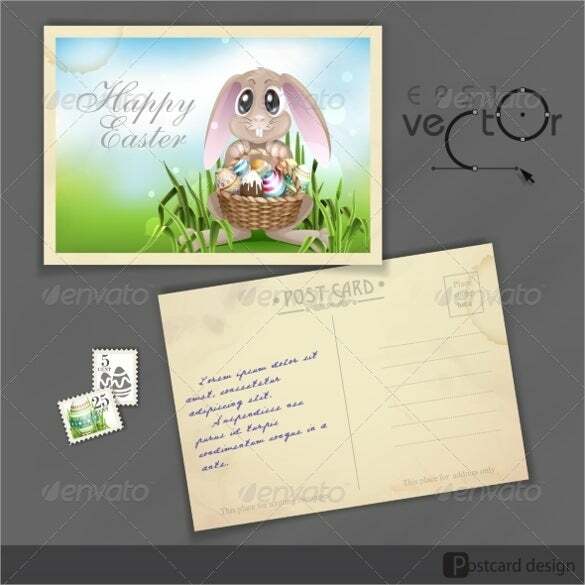 Gone are the days, when people use to write telegrams on a post card and send it across to the recipients. 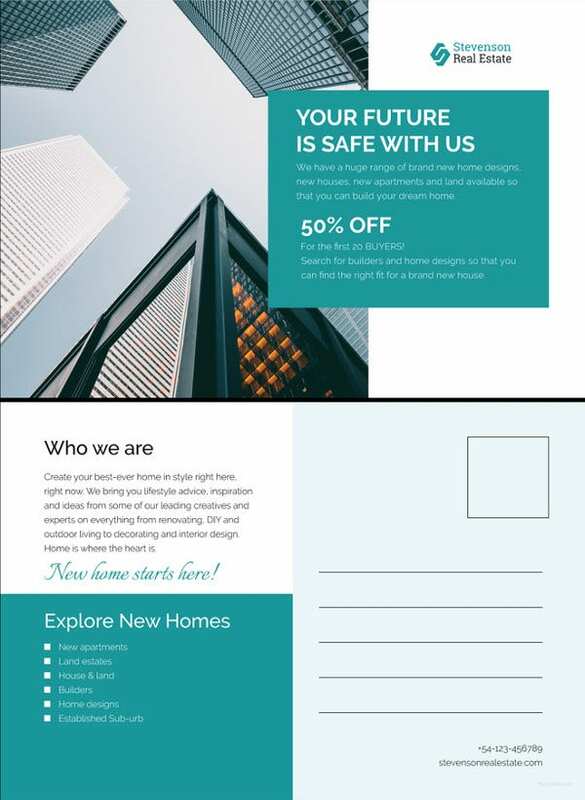 You can also see Real Estate postcard templates. 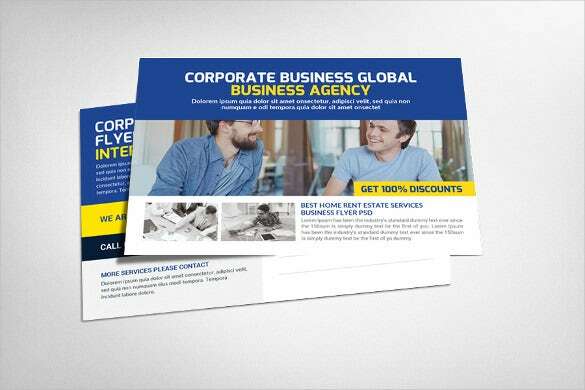 Now a day, postcard templates serve as one of the most important offline communication and marketing options by firms as they are the cheapest of all. 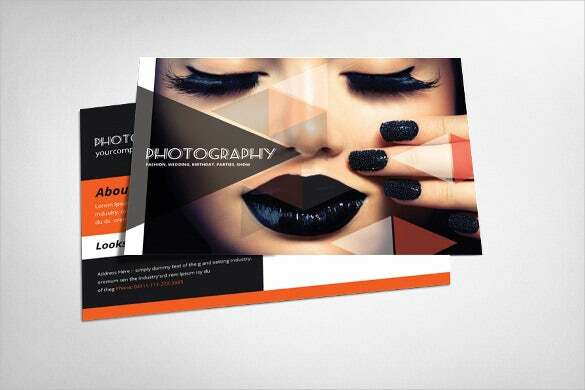 The design of these postcard templates can be done in the form of a PDF of a PSD as the case may be. 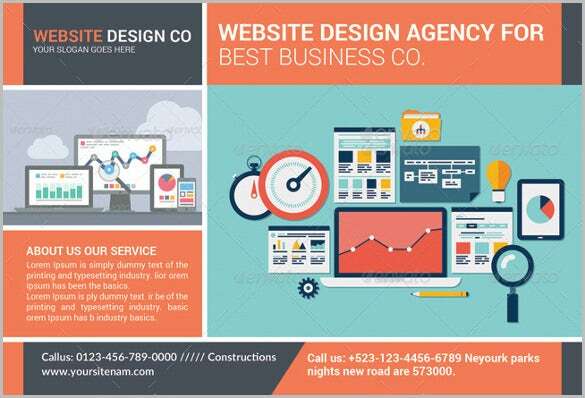 If you belong to a website agency, this is the best way to advertise your agency. 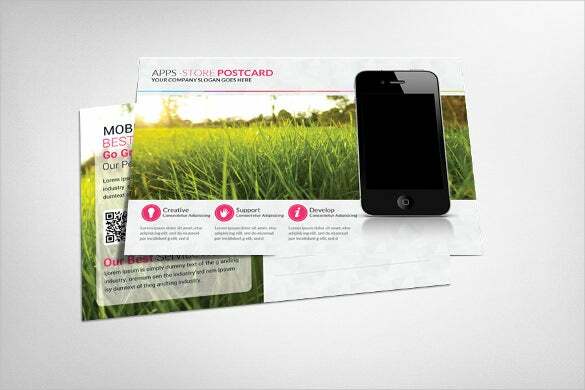 A smartly designed postcard with a list of your services could act as a great marketing strategy for you. 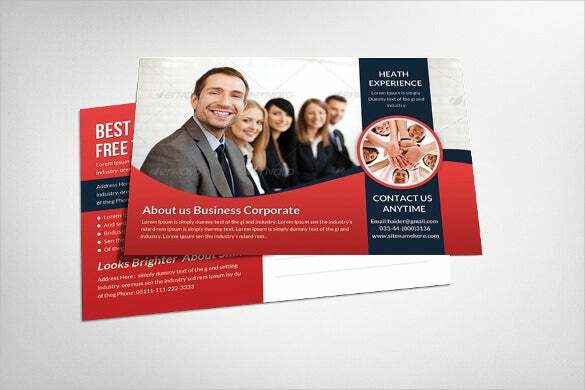 In the corporate world, you need to be careful about the impression you make. 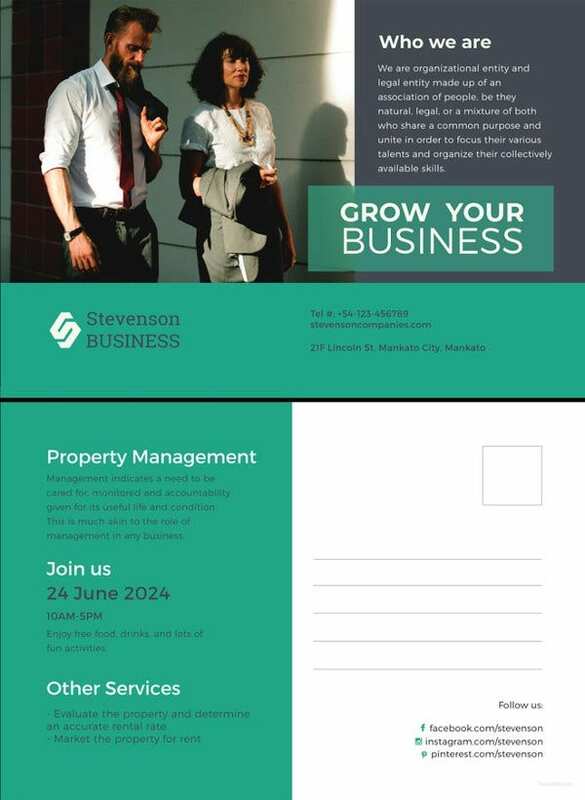 If you’re using a postcard for corporate and business purposes, you can go for this template, where you can also include your company tagline. 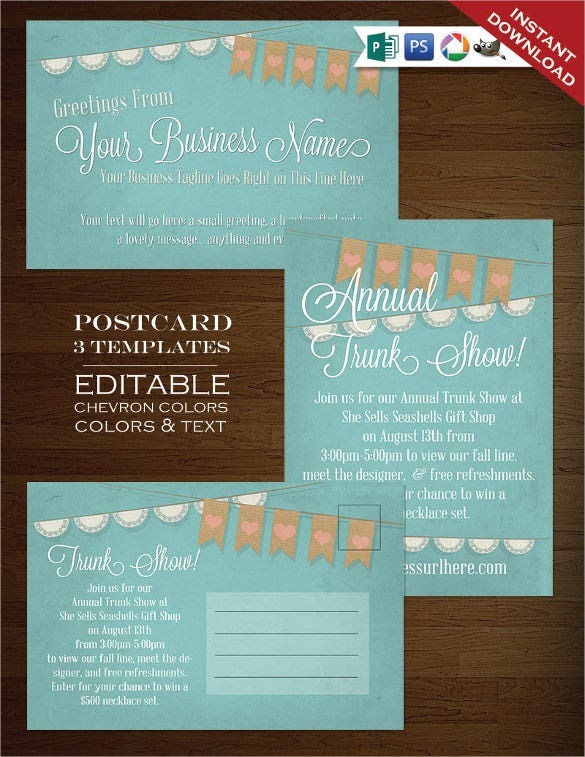 If your company is organizing an event of some kind, you can download, print and distribute this postcard. 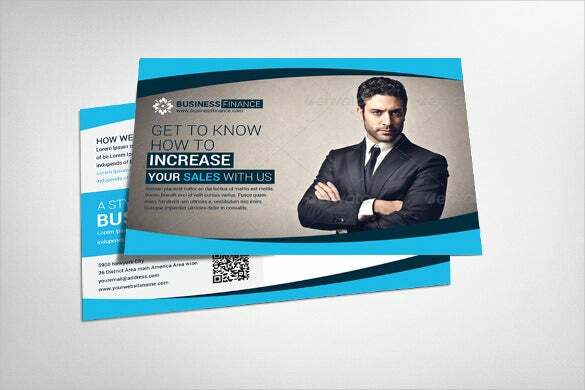 It would help you spread your company’s name far and wide and also improve your image. 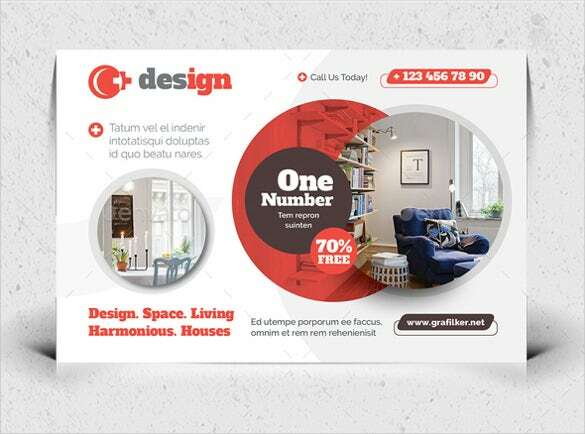 An interior designing company cannot do with a shabby postcard! 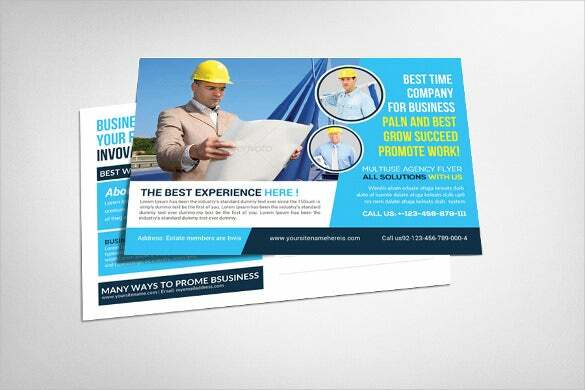 You need to get a premium, top quality post card which reflects your company as a whole. This template would be great for you, if you’re looking for something simple. 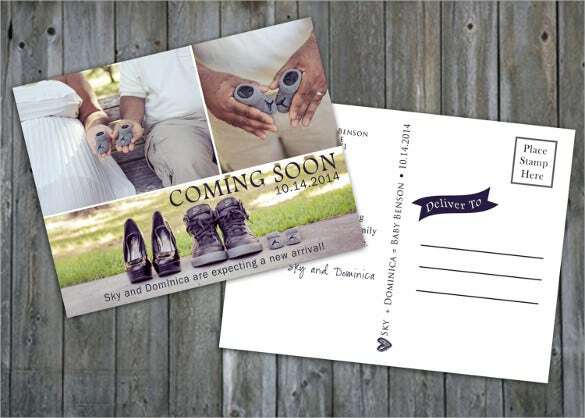 Add a special touch to your wedding invitation with this beautiful postcard template. 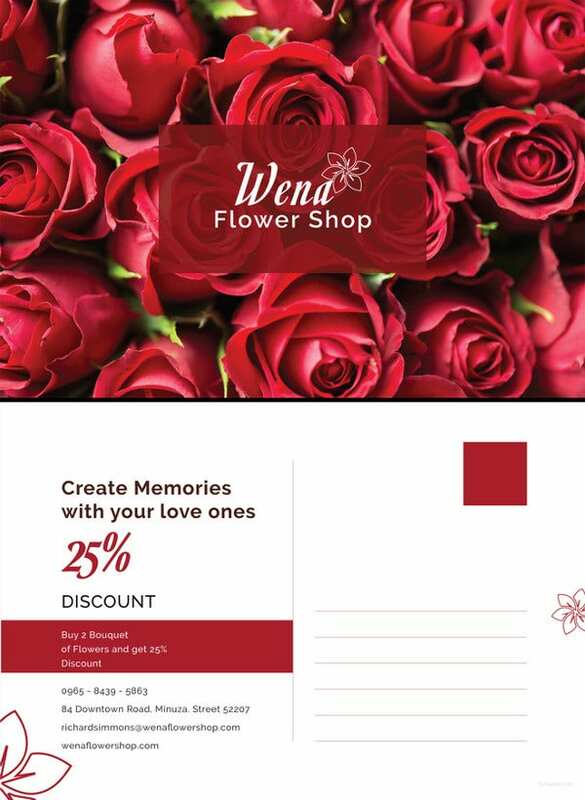 It would be a great way to express to the world how much you love your partner. Are you spending your summer vacations in a beautiful house by the beach? 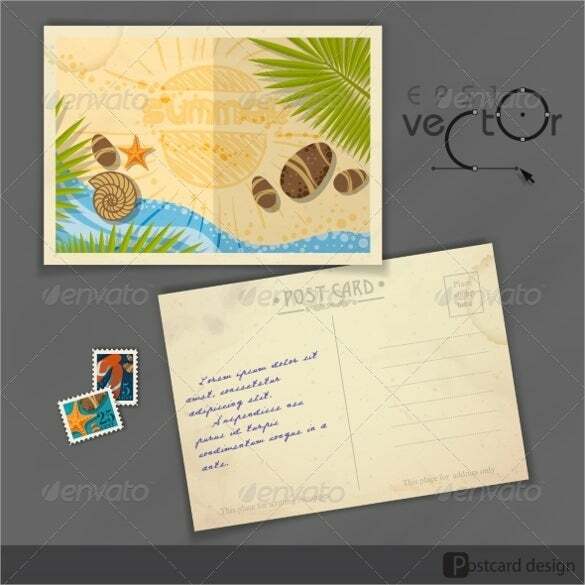 Then you could write to your family from there using this amazing postcard template. That way, your family can share in all the fun you’re having. 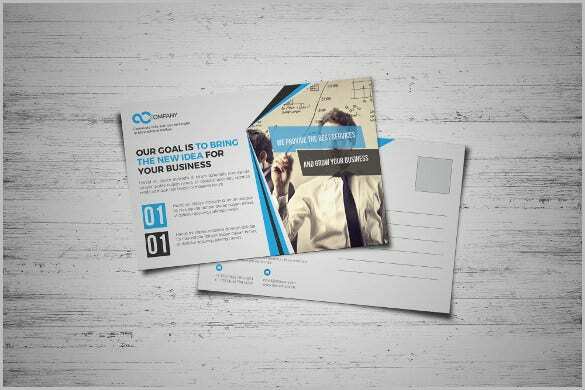 Corporate postcards need not be boring or monotonous! 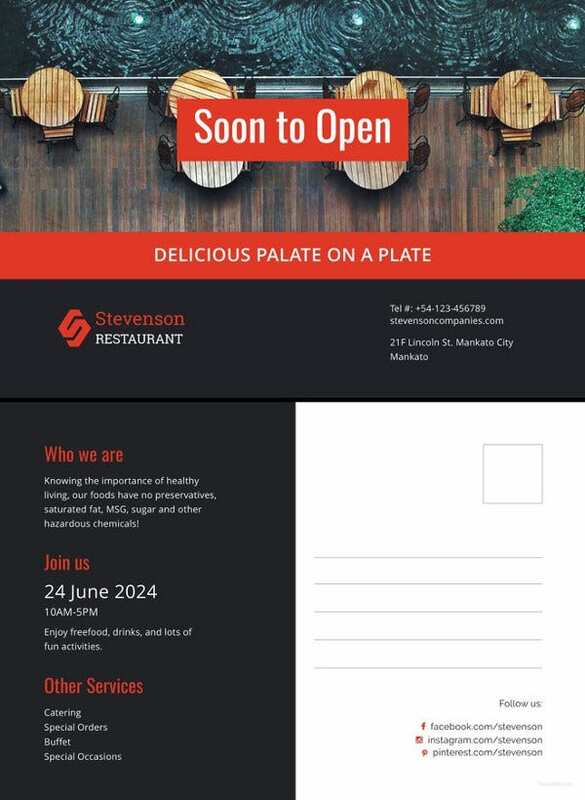 If you’re sending a postcard to your clients, you can go for this red template with a description and contact details which should be enough to convince them. 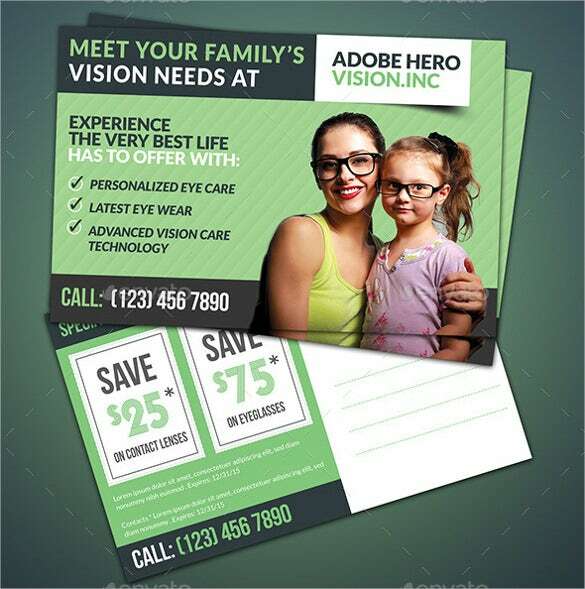 As the postcard template shows, you could make good use of this if you’re an ophthalmologist or deal in eye care. 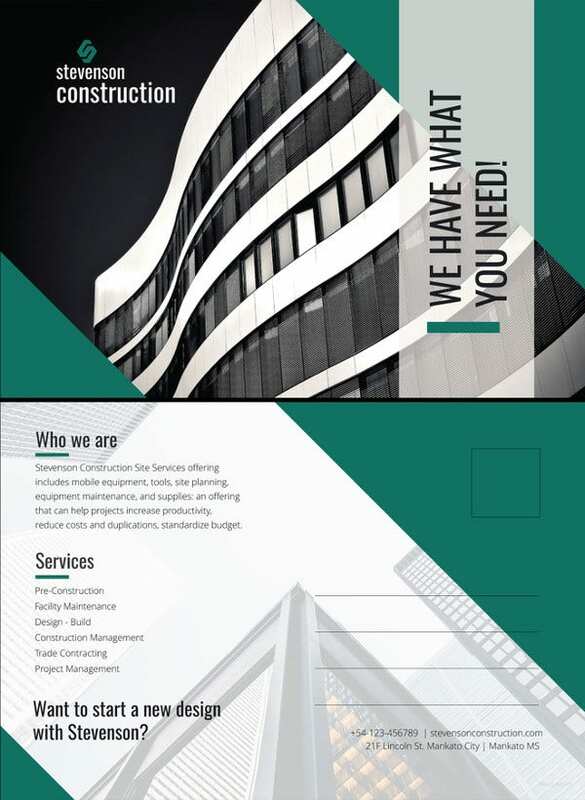 You can include your services on the template to give your clients an idea of what you do. 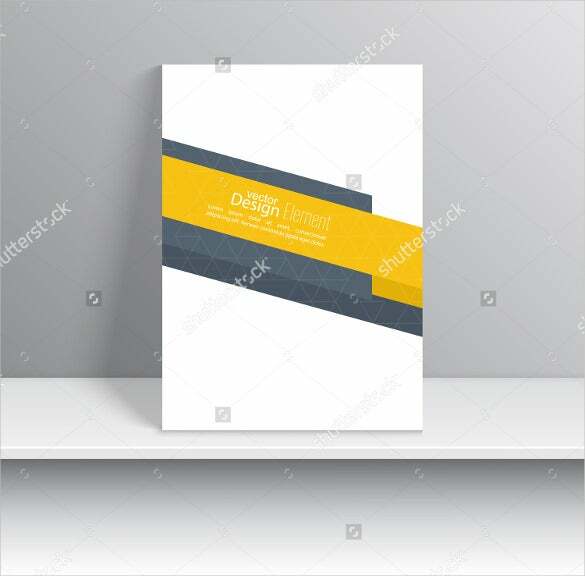 If you belong to the field of business and finance, you should definitely opt for this template. 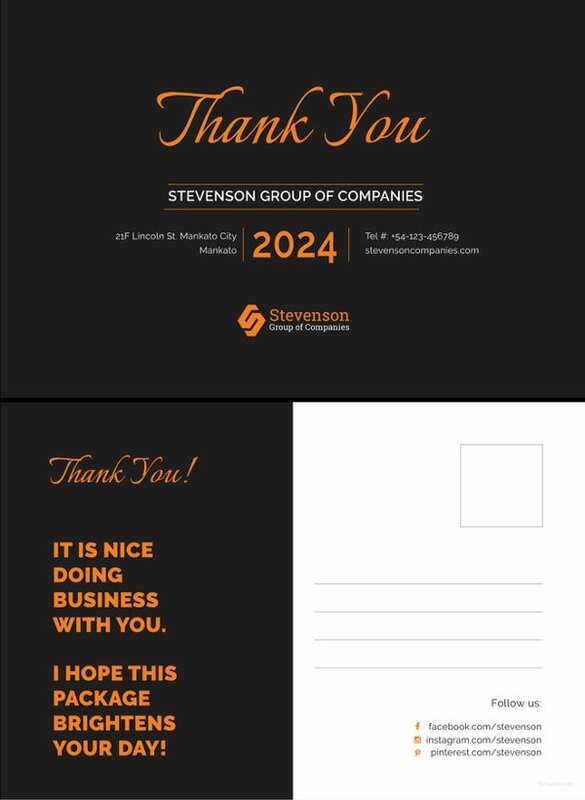 One look at this postcard will convince your prospective clients and customer to pick you over other companies. 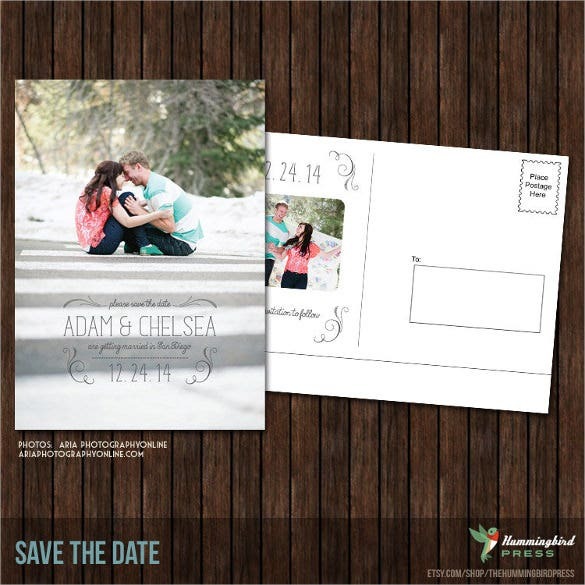 If you’ve already set a date for your upcoming nuptials, then you should download this template and send out an invite to all your guests. 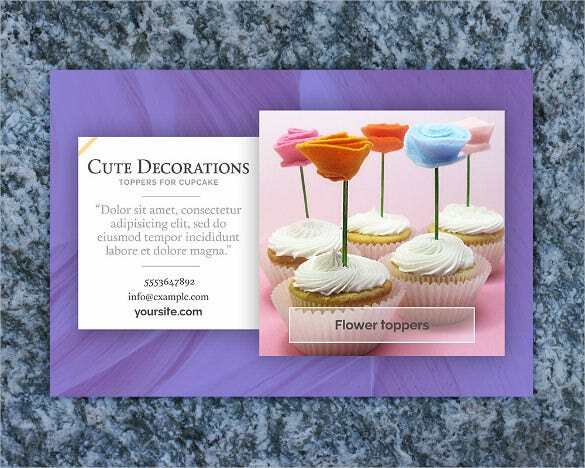 You can add an image of yourselves as a happy couple and customize it. 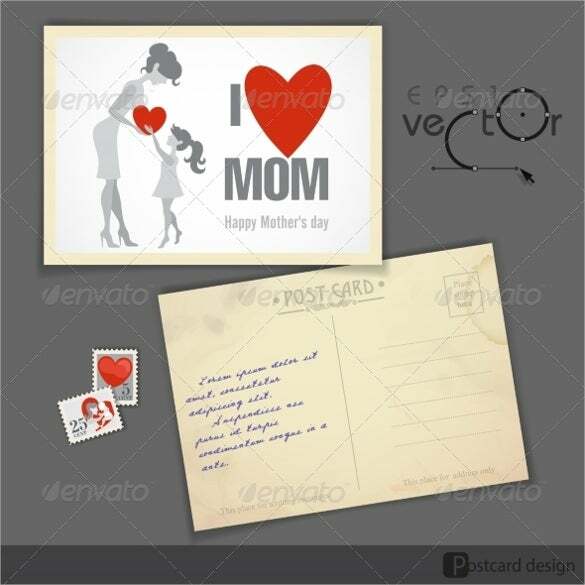 If you’re unable to be present with your mom on Mothers’ Day, then you can download this template and send it to her to let her know that you’re thinking of her. It would definitely be a sweet gesture on your part. Presents and gifts just scream Christmas, don’t they? 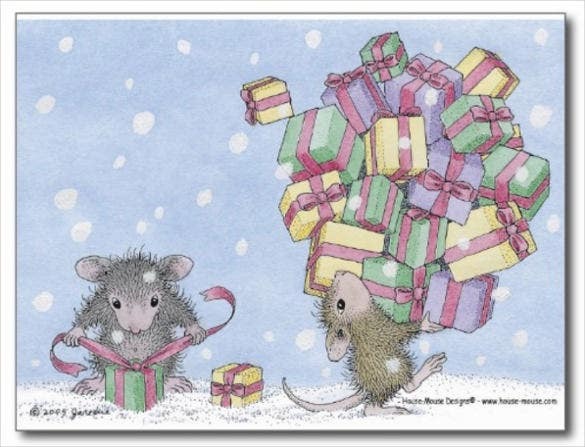 If you’re planning to send a postcard to your loved ones this Christmas, you may download this cute template to brighten their day and make them feel appreciated. 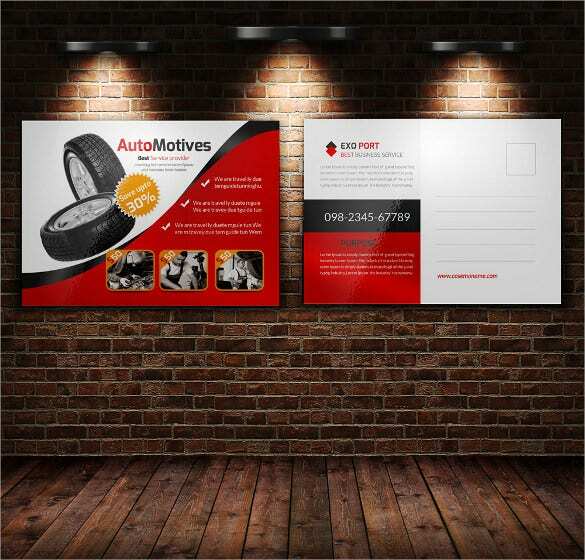 If you own an automobile company, or an automobile dealer, then you can go for this template while sending a postcard. 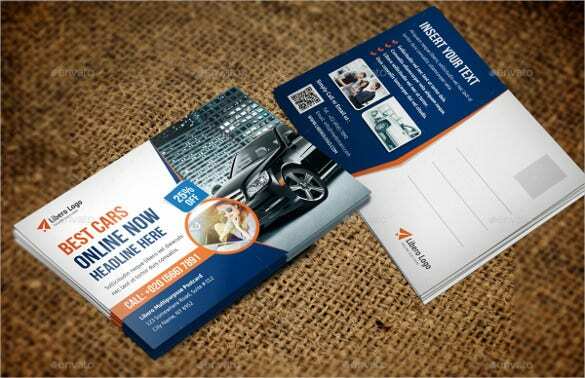 You can add contact details and little bits about your company for an effective marketing strategy. 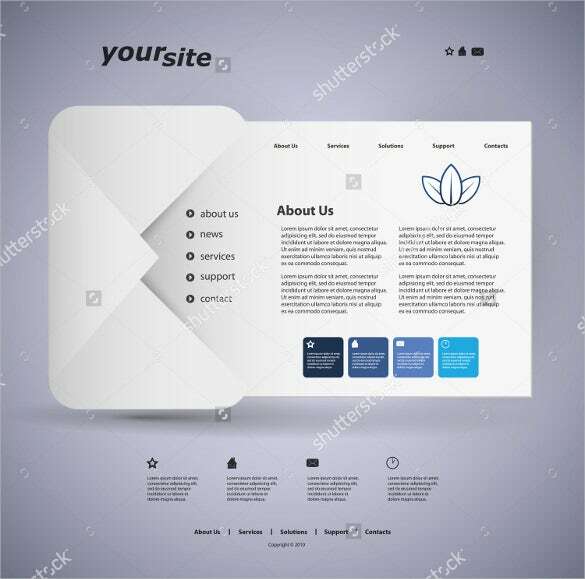 This particular template would be helpful if you own a website or an online company. 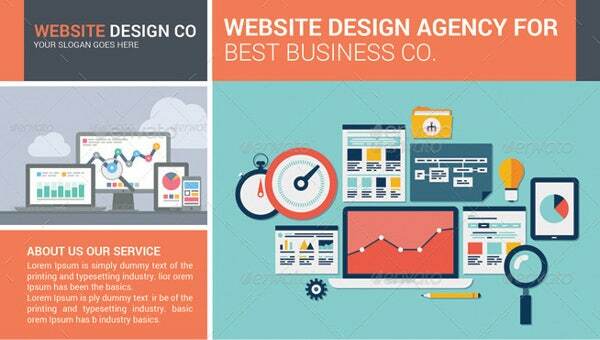 You can list all your services and about the company in general to attract customers. 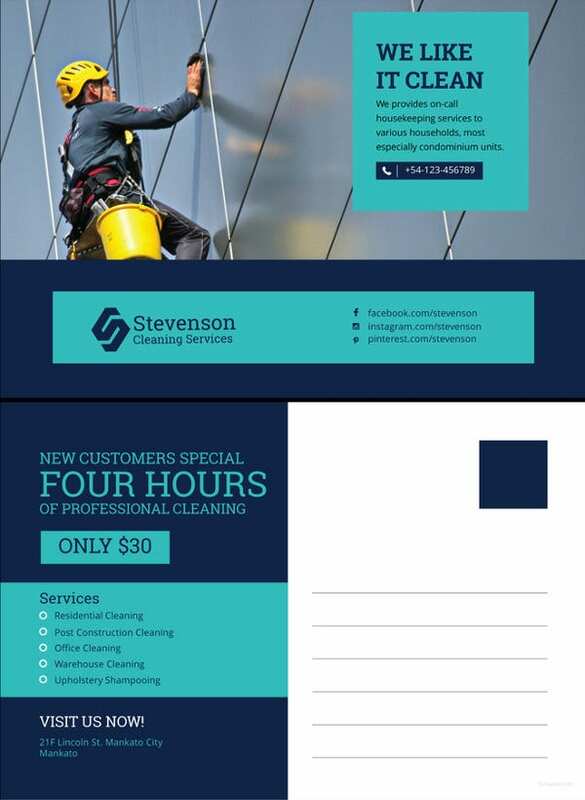 You can even add customized images. 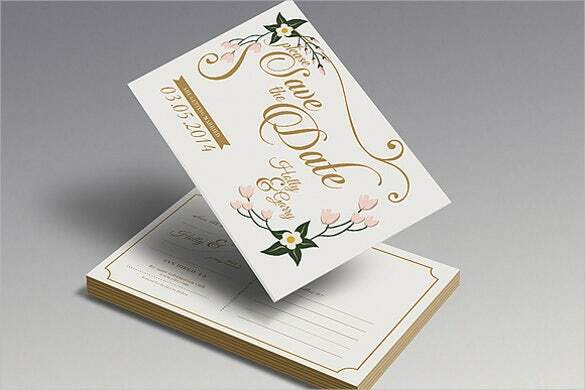 If you want a vintage look for your save the date postcard, you can go for this gold and white themed template with a small floral design. 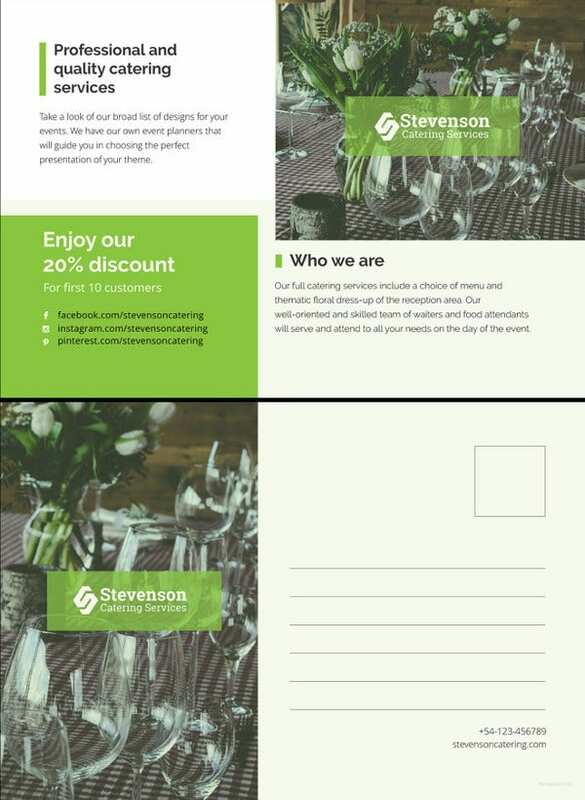 It has a royal feel to it, if that’s the theme you want for your wedding.